My wife received another alumni newsletter from her college in the mail. It’s somewhat of a miracle that it arrived, given what they do to her name. Because I graduated from the University of Toronto, which is a federation of colleges, I get three of these this type of thing regularly, one from the university itself, one from my college, and one from the Department of Philosophy even though I majored in Sociology. I flip through these, and don’t entirely regard them as junk mail, though I’ve never yet made a donation and frankly, with Christian charities a priority, I’m not ever likely to. They’re really good at maintaining a data base of former students and knowing what each is doing. In church life we tend to assume that people have simply gone on to another church when that’s not always the case. They have an interest in where life has taken you, and they track you down, even if you move several times and think you’ve lost them! 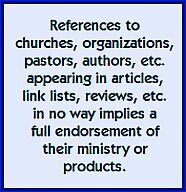 I’m going to guess here that 99% of churches have nothing formal in place to ‘follow’ former adherents and members, and truth be told, a significant number of them did not go on to another church. They’re really excited about sharing their programs. It never occurs to us that if someone liked what we were doing as a church once, they might be interested in connecting again. We basically treat departures as a form of rejection, unless the person moved or was transferred. The door is always open. We have nothing in the church that compares to the concept of ‘homecoming.’ Just think what might be if we created a culture where the welcome mat is always out for former members and participants. Colleges and universities invite you walk the corridors and sit in the classrooms to rekindle memories; why can’t a church do that? They earnestly solicit your financial help to advance their work. Even though I don’t expect to benefit directly from what my alma mater is doing currently — and its entirely possible I may never step on the campus again — they invite me invest in its future. Many people who have stopped going to church have stopped giving to Christian causes even though the latest books tell us they still like Jesus, they still love God. There must a polite way to say, if you’re not giving to anything, the work of this church still goes on without making it sound like, ‘You may be gone but we still want your money.’ I certainly believe I could craft that appeal letter. They share their stories. Related to the above item, they have a better system for hearing back from their ‘graduates,’ and what is being accomplished in and through their lives. In a world of email and Facebook, keeping in touch with former church adherents ought to be a cakewalk. Some are possibly very grateful to share how their time at your church impacted their lives. Everyone else needs to hear those stories. What do you think? Are there analogies I missed? Can we do better at tracking people who were once part of our church family roll? Is it possible they’re actually waiting to hear from us; to see if we remember; to see if we care? Recently, my wife and I have had a number of recurring conversations prompted by comments overheard that among some Christian parents we know that their children have arrived at their late teens or early twenties only to reveal that the Christian faith they were immersed in, for lack of a better phrase, didn’t take. and other variations you can fill in. The other day when I was finishing up this litany my wife said something that arrested me in my tracks. Now remember that, (a) she is very wise, and (b) she had the advantage of experiencing multiple repetitions of my soliloquy before issuing a comeback. I can’t imagine that any of the parents in question would do anything knowing that it had the least potential of undermining the nurture of their children’s faith, but that’s just the point, isn’t it? How many kids are destined for a young adulthood (and beyond) without a faith component because we inadvertently did a really crappy job of modeling for them what Christ-following looks like? You don’t want to think about that. So parents, be careful what you say in the car ride home on Sunday. Your comments are being picked up by little ears. Coincidentally, The Pew Research Forum has just released a report on the religious life of Canada, my home and native land. The charts and graphs all speak for themselves — two are reproduced below — but the message is clear that an attrition is taking place in the church as we’ve not seen before. Furthermore, in Canada and the United States, the religious landscape is forever changed because of immigration policy. The results are similar to a study done by the Evangelical Fellowship of Canada (EFC), called Hemorrhaging Faith, which we reported on here a few months ago. That study looked at four demographic areas: Evangelicals, Mainline Protestants, Roman Catholics in Quebec, and Roman Catholics Outside Quebec; and divided respondents into Engagers, Fence Sitters, Wanderers and Rejecters. The Pew Study looked only at Protestants and Catholics, as well as respondents from other religions and the rapidly growing category known as “the nones” (not nuns) who check off the “none” box on census and other surveys. Unfortunately in the EFC study, the results for Evangelicals — while showing stronger adherence — did not point to a much brighter future over the long term. Survey companies like Barna and Pew make money selling reports, and the very nature of the business means that bad news tends to get more attention. So books like David Kinnaman’s unChristian are better known than the counter response found in books like Bradley Wright’s Christians are Hate-Filled Hypocrites: And Other Lies You’ve Been Told reviewed here. People will flock to buy a book on how the sky is falling, but not so much toward one which advises the sky is intact. But the Pew Research study and the Evangelical Fellowship’s study highlight statistics that are undeniable: Kids are leaving the church in record numbers. What if Your Church Had an Alumni Newsletter? 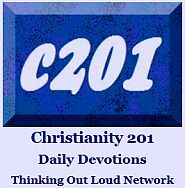 This is a repeat of an article from last year which was titled, If Churches Were Like Colleges and Universities. Yesterday my wife received an alumni newsletter from her college. Because I graduated from the University of Toronto, which is a federation of colleges, I get three of these things regularly, one from the university itself, one from my college, and one from the Department of Philosophy even though I majored in Sociology. They earnestly solicit your financial help to advance their work. Even though I don’t expect to benefit directly from what my alma mater is doing currently, they invite me invest in its future. Many people who have stopped going to church have stopped giving to Christian causes even though the latest books tell us they still like Jesus, they still love God. There must a polite way to say, if you’re not giving to anything, the work of the church still goes on. What do you think? Are there analogies I missed? Can we do better at tracking people who were once part of our church family roll? The picture: Don’t let padded seat backs stop you from having a place to store your hymnbook. This is North Christian Church in Columbus, Indiana. 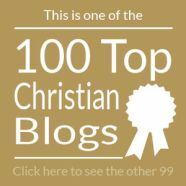 If there aren’t enough links for you here, and you’re into apologetics, the blog Weekly Apologetics offers a weekly link list to topics of interest to its readers. Michael Cheshire explores a friendship with a man that admittedly, other Christians really don’t like. To put it mildly. Michael was told by some they would desert him if he reached out to Ted Haggard. Here is the link that was added on Sunday as an update to our short piece on the Newtown/Sandy Hook shooting. Early on, it addresses that the situation is entirely unique to the United States. In all the outpouring of discussion on the shooting, I especially appreciated this one at the blog Shawn in the City. And here’s what a school lockdown looks like from the inside, especially tense in the wake of recent events. In just days, a quarter of a million people have signed a petition to see Westboro Baptist Church officially recognized as a hate group. Candid: Author R. C. Sproul, Jr. comments on the one-year anniversary of his wife’s death. Here’s a sneak preview of the acoustic version of Casting Crowns’ Praise You In The Storm, from an unplugged album releasing mid-Janauary. Also on video, Matt Papa presents a 10-minute spoken word piece that dares to encapsulate The Story of God. How much of what is shared in a pastoral counseling session should the pastor share with his wife? It depends on the nature of the session, and also on the nature of the wife. And Cody Sanders believes that a church that skirts around the issue of the bullying of gay teenagers that’s taking place in high schools is guilty of what he terms ministerial malpractice. Not sure I fully get the Christian angle on this 105-page book that can be read in well under an hour, so I checked out a few online reviews of Robert Smith’s 20,000 Days and Counting. Like this one. And this one. And how long have you been alive in days? Use the calculator on Robert Smith’s website. New Blog Department: New Songs of Praise recently joined the Alltop Christian list with devotional and Bible study content. New-To-Me Department: The Poached Egg is an aplogetics blog that no doubt takes its name from a C. S. Lewis quotation. Lots of resources to consider and/or share. We leave you today with a classic 2009 Time Magazine article on what was then considered a growing trend: De-Baptism. “Liberate yourself from the Original Mumbo-Jumbo that liberated you from the Original Sin you never had” But the rebellion wasn’t just against a Christian upbringing: “We’ve had Jewish people write in asking, ‘Can I have a certificate to undo my bar mitzvah? '” Somehow, I don’t think you’ll see these certificates in Christian bookstores.